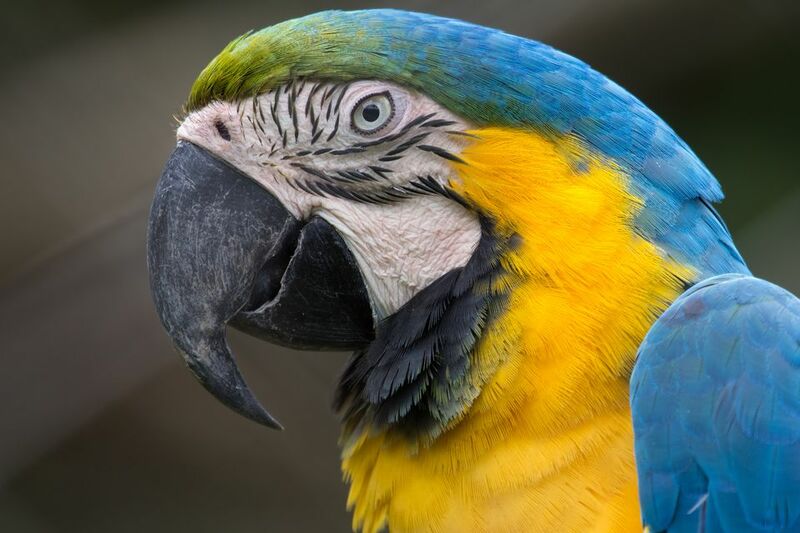 Anyone who has ever lived with a parrot knows that if it becomes frightened or upset, it can deliver some pretty nasty bites. Even small-and-medium-size hookbills are more than capable of breaking the skin and doing plenty of damage with their little beaks, and any pet bird can bite without warning. So it's helpful to know how to treat your wounds if such a bite should occur. These tips and instructions will help you heal your bite wound as quickly and painlessly as possible. Taking care of an open wound as soon as you can greatly reduce your risk of infection or other complications. Treating a bird bite is similar to how you care for any other cut, but you should be even warier of infection because of the source of the wound. If the usual care does not result in improvement after a couple of days or if the wound worsens, see a medical professional as soon as possible because you could have an infection that requires an oral antibiotic prescription or other special treatment. How bad is your bite? If the bite didn't break the skin, odds are that you will do well with an over-the-counter pain reliever and some cold packs to reduce bruising and swelling. However, if the bite has caused bleeding, you could need to seek medical attention. A bird's beak is strong and sharp and can cause extensive damage to skin, particularly if the bird is a ​hookbill. If your bite wound is very large or deep, is bleeding profusely or is a bad facial wound, it is best to seek professional medical treatment immediately. If you think you can handle the bite on your own, proceed to the next steps for information on treating it properly. It's important to practice proper hygiene any time you are around pet birds, but especially if you become the victim of a bite that breaks the skin. Anytime a bite causes an open, bleeding wound, there is a risk that bacteria can enter the bloodstream and cause an infection. To minimize the chances, scrub your wounds thoroughly with soap and water before applying any dressings or bandages. To further decrease the risk of catching an illness from your bird, use a good disinfectant after you have cleansed your bite wound. Good medical disinfectants include rubbing alcohol and hydrogen peroxide. Thoroughly flush the wound with the disinfectant of your choice and pat the wound dry with sterile gauze. Using a disinfectant might sting and burn a little bit, but the temporary discomfort is far better than allowing the wound to fester and become infected. After cleaning your wound, disinfecting it and applying an antibiotic dressing, you should cover the wound with a bandage to keep the medication in place and block any dirt and bacteria from reaching the bite. Use sterile adhesive bandages, or (if necessary) create a custom wrap out of sterile gauze and rolled bandage tape. Until the wound scabs and heals, it is important to keep the site of the injury clean and dry. Wear rubber or latex gloves on your hands while doing housework or especially while cleaning cages and make sure to cleanse and redress your wound at least once a day until it is healed. What's Causing All The Commotion?